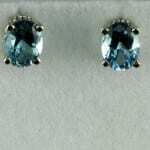 The Aquamarine is the birthstone for March and at John Wallick Jewelers, in Sun City, Arizona, near Phoenix, AZ we carry beautiful blue to greenish blue aquamarines and custom aquamarine jewelry. 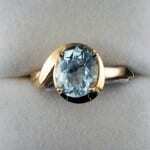 Aquamarine comes from the Beryl family of gem species. Its cousins are the Emerald and the Morganite. Aquamarine is a relatively hard stone that has a Mohr’s Hardness of 7.5-8 and it is a gem that is able to be worn every day and can be easily worn in rings, pendants and earrings. Aquamarine major mine sources are located in Afghanistan, Africa, China, India, Pakistan, Russia, and South America. Derived from the Latin word aqua marina, meaning water of the sea, aquamarines, according to myth and legends, originated in the treasure chest of mermaids and has since been regarded as the sailor’s lucky stone. To those who sail the seven seas, the Aquamarine stone was thought to bring them GOOD LUCK and was believed to keep sailors safe and guard against storms. It is known for its range of serene, oceanic shades from pastel to medium light blue-green or light green to a deep blue. Even aquamarine’s blues have a green tinge. 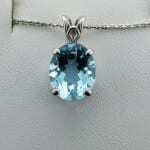 The color of aquamarine can be quite intense in larger sizes, while it is often less vivid in smaller ones. Differences in shade and depth of color have an effect on its value. 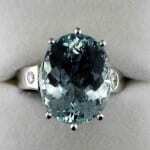 A gem that is a deep blue and void of internal birthmarks is considered most valuable. March’s birthstone, the aquamarine is the recognized gift for the 18th wedding anniversary, believed to reawaken love, kindle friendships and elevate the spirit. A gem of youthful outlook, aquamarine glints fresh young-at-heart qualities and is said to bring love, health, and youthful energy to those who wear it. It is also known as the stone of courage and serenity. In 1910 the Dom Pedro aquamarine crystal was found in Brazil. It weighed 243 pounds and was so transparent that objects could be seen through its long dimension of nineteen inches. It is presently on display in the Natural History Museum at the Smithsonian in Washington, DC. Some of the finest Aquamarine exists now in the jewelry of the British Royal Family. 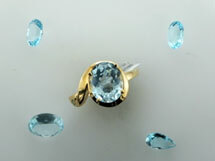 Aquamarine is routinely heated to remove yellow components. To clean aquamarines use warm soapy water and a soft brush. Mechanical cleaners are generally safe. Avoid contact with harsh chemicals. 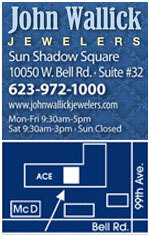 Ask your jeweler for details regarding special enhancements and care. 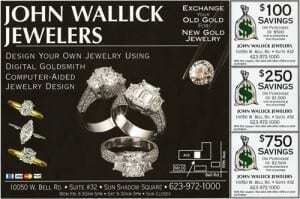 At John Wallick Jewelers we have exquisite aquamarine rings, aquamarine earrings and aquamarine pendants in all price ranges sure to match your budget. I reckon each have their own use. 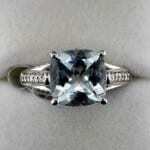 Diamonds for engagement rings. Zirconia and Moissanite are a wonderful option for people who can not afford diamonds and Swarovski crystals for costume jewellery including improving some of the wonderful trend garments that girls want to buy.